Sealed inside of a glass Coca Cola bottle, this piece explores the relationship between humankind and the intelligent life that lives beside us. Orcas, also known as Killer Whales, are a highly intelligent species that, like humans, demonstrate distinct languages and social dynamics around the world. Orcas have displayed elements of culture and other indicators of higher cognition that are prevalent in humankind. Conceived as a physical manifestation of oral tradition, two elements are shown coming together to represent a forgotten appreciation of sophistication and culture in a non-human species. Fire is an important artifact of human culture, traditionally used as a hub for oral traditions and critical to technological progress. 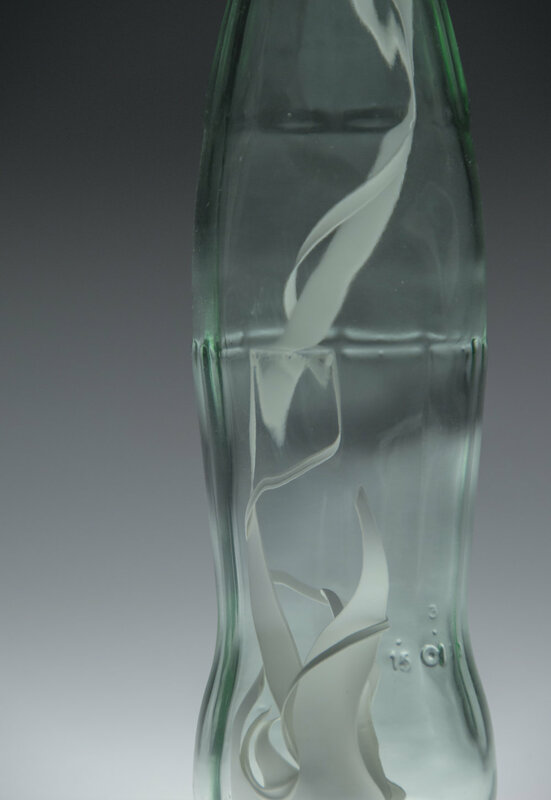 The element of water is captured through the fluidity of the Orca's path within the bottle's sea-green glass and the foaming, bubbly surface of the bottle cap. 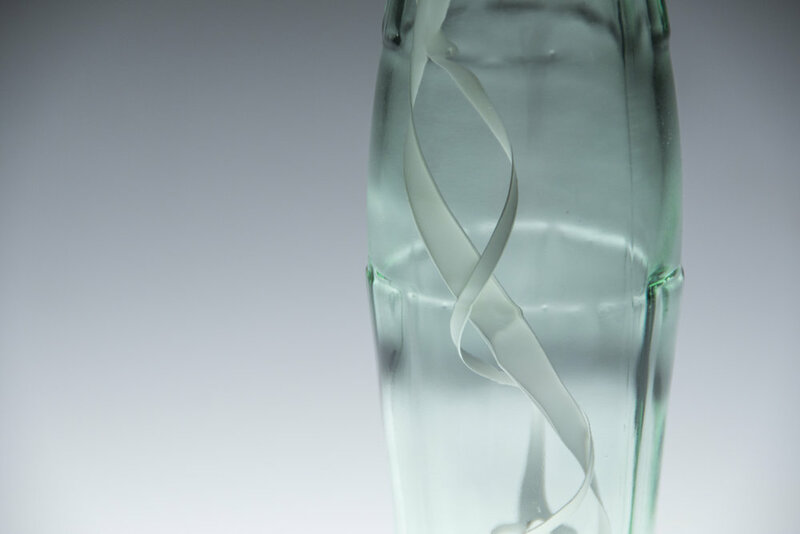 The form is designed within the physical constraints of the bottle, and all movement is achieved through flame-worked Yupo Paper (a synthetic, waterproof material). The orcas come alive when viewed through the rippled surface of the bottle. 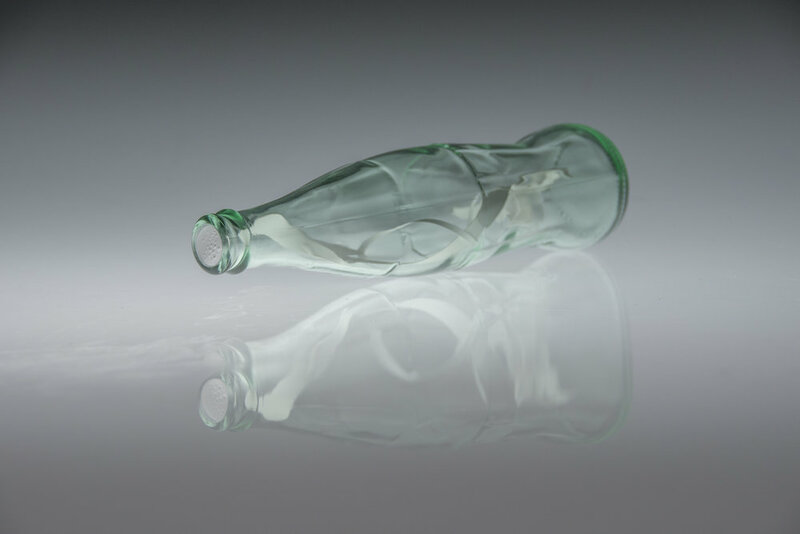 The bottle will be concealed in the new Tepper building, currently under construction, on Carnegie Mellon University's Pittsburgh campus where it will remain until its unveiling in the year 2041.